It is tough days for the Israeli handball, after the tragedic death of Hapoel Rishon LeZion player, Novak Boskovic. The reds coach, Idan Maimon, with Hapoel’s players and high ranked representative from Novak’s ex-team, Maccabi Tel Aviv, flew to Serbia for the funeral. 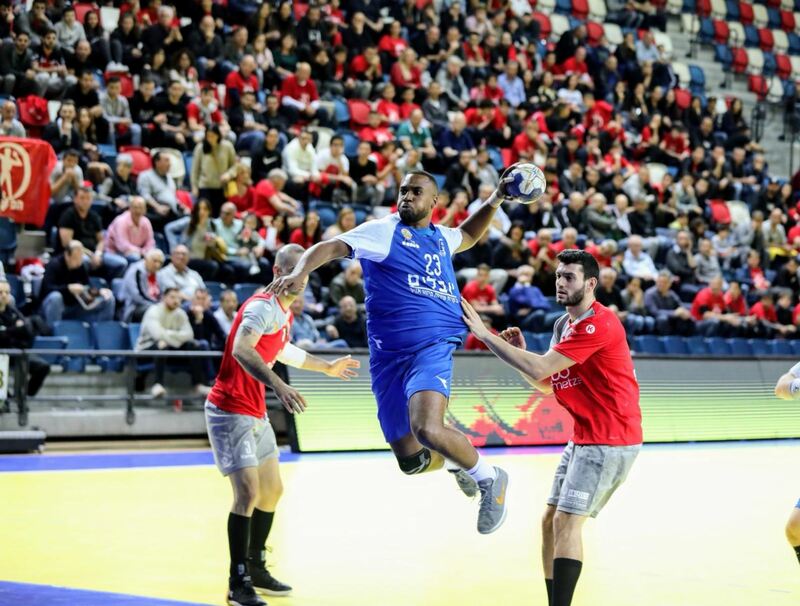 Few hours afterward, the Israeli handball cup semi finals played in Tel Aviv without the former cup holders, Hapoel, that lost to Hapoel Ashdod in the quarter final. Each of every semi finals started with a memorial ceremony for Boskovic. Ashdod met H.C Holon after the league’s draw with Maccabi Rishon LeZion and thank that they have the “finals ticket in the pocket”. But, the talented young player and the young coach, Nissim Falach, believed in themselves. It was a very equal 60 minutes and the first 30 of them ended with 14:14. In the 35th minute, Holon lost the Nigerian left back, Patrick Obinna Nwaiwu, with a direct red card. Without him, the Israeli next biggest star from Holon, Daniel Mosindi, took the responsility and let his team for a fantastic 28:25 win. In The second match, The league’s leaders Maccabi Rishon LeZion met H.C Ness Ziona. The first half ended with 14:12, but in the second half the middle back, Vladi Kofman, took them to the final with 8 goals to 30:22. The final will be played on February 25th. Next Story → Powerful RK Vardar win in Mannheim!